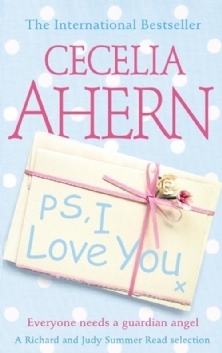 Cecelia Ahern's debut novel, PS, I Love You, follows the engaging, witty, and occasionally sappy reawakening of Holly, a young Irish widow who must put her life back together after she loses her husband Gerry to a brain tumor. Ahern, the twentysomething daughter of Ireland's prime minister, has discovered a clever and original twist to the Moving On After Death concept made famous by novelists and screenwriters alike--Gerry has left Holly a series of letters designed to help her face the year ahead and carry on with her life. As the novel takes readers through the seasons (and through Gerry's monthly directives), we watch as Holly finds a new job, takes a holiday to Spain with her girlfriends, and sorts through her beloved husband's belongings. Accompanying Holly throughout the healing process is a cast of friends and family members who add as much to the novel's success as Holly's own tale of survival. In fact, it is these supporting character's mini-dramas that make PS, I Love You more than just another superficial tearjerker with the obligatory episode at a karaoke bar. Ahern shows real talent for capturing the essence of an interaction between friends and foes alike; even if Holly's circle of friends does resemble the gang from Bridget Jones a bit too neatly to ignore (her best friend is even called Sharon). While her style can be at times repetitive and her delivery is occasionally amateurish, Ahern deserves credit for a spirited first effort. If PS, I Love You is any indication of this author's talent, readers have much to look forward to as Ahern matures as a novelist and a storyteller. --Gisele Toueg --This text refers to the Hardcover edition. Sign into Goodreads to see if any of your friends have read PS, I Love You.